This christmas I have decided to make some tasty treats for my family and friends. A great gift for any one who cooks (or eats) is infused oils, easy to make and they look great too! 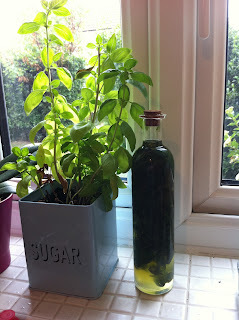 Below are my recipes for chilli and basil infused oils. Remove the stalks from the chillies and chop them (I kept them quite big as you have to strain them out of the oil after and this made it a bit easier). Add the chillies to a large pan and add the oil. 2. Heat the oil gently until it nearly reaches 120 oC, then simmer for 15 mins (don't let it get any hotter I would definitely recommend getting a cooking thermometer for this!). 3. Remove from the heat, cool slightly and stir in the paprika. Leave to cool completely, then strain with a sift. 4. Sterilise some bottles (the best say to do this is put them on a really hot wash in the dish washer) and fill them with the whole chillies and top up with oil. You can use these straight away for cooking, in soups and salads or just dip some crusty bread in it! 1. Heat the oil gently in a pan until it reaches 40 oc (you will need a cooking thermometer for this!). 2. 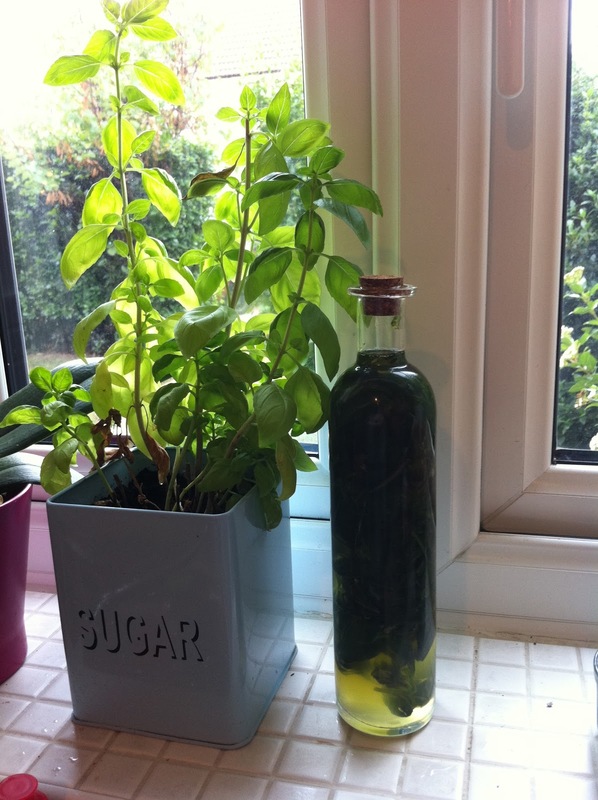 Lightly bruise the basil and put it into warm sterilised bottles (the best say to do this is put them on a really hot wash in the dish washer). Pour in the warm oil and then seal. This oil will be ready in 3-4 weeks, use within 3-4 months after this the bails will become slimy. You could also try these oils with rosemary, coriander or thyme with lemon.